Brakes need to pick themselves up at home to Stockport County. 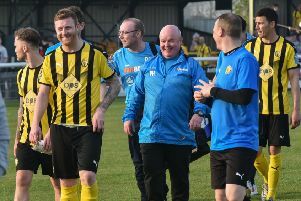 After the optimism of their win at Gainsborough Trinity on the opening day, Leamington have come back down to earth with three successive defeats. A 2-0 loss at Kidderminster Harriers on Tuesday night followed on from home defeats to Tamworth and Southport and with Stockport to come on Saturday, boss Paul Holleran said his side must cut out the sloppy errors which have been a feature of the opening two weeks. He said: “You can split this league into three. The seven at the top you can have a go and see where that takes you. But Southport and Tamworth come in the next group and we’ve come away with nothing - that’s my major disappointment. “We’re not on a level playing field with Kidderminster and I can cope with that. We lost and we move on. But out of the two home games we have got nothing. “We’ve got possibly the hardest team in Stockport on Saturday and we have to get Leamington back to being the place it has always been. We have to make it a tough place to come. Injuries to key players have been a feature of the opening weeks but there was better news on that front with Liam Canavan making a 15-minute cameo in midweek. “Getting Liam Canavan back will be a big thing,” added Holleran. n Brakes are launching a matchday bus service on Saturday. Starting out from Leamington train station, a return fare costs £2.